Whilst waiting to die, so they can be buried in their KISS coffin, there are many ways a KISS fan can occupy themselves. 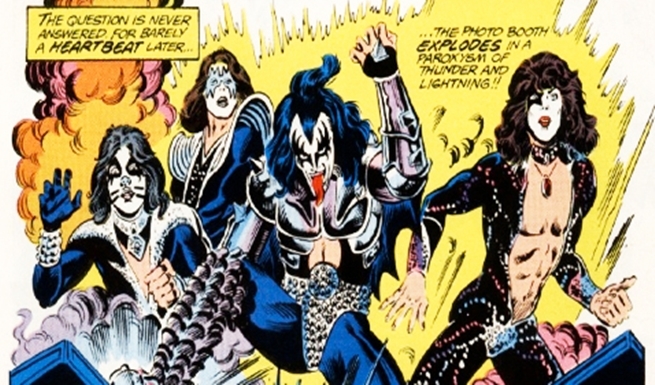 They could idle their way through a KISS comic, drink a refreshing glass of KISS wine from their KISS pitcher (whilst relaxing in their KISS ceremonial gown) or maybe just while away the hours on their KISS pinball machine (all these are real btw). Well, KISS fans can now add a version of Angry Birds featuring their favourite band to the above list. Band memeber Gene Simmons has been in talks with Rovio about a potential crossover title. He also noted that discussions with “Sony games” are currently taking place, more games perhaps?